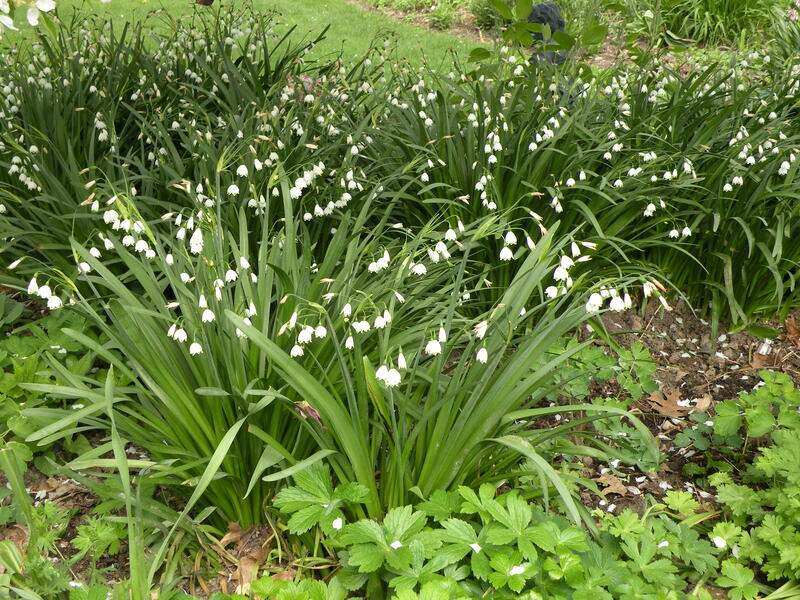 I first saw Leucojum aestivum (Summer Snowflake) in a woodland setting with late Narcissus and didn’t know what they were, but I was determined to find out. Then I saw them again in a Charleston cemetery and discovered their identity. 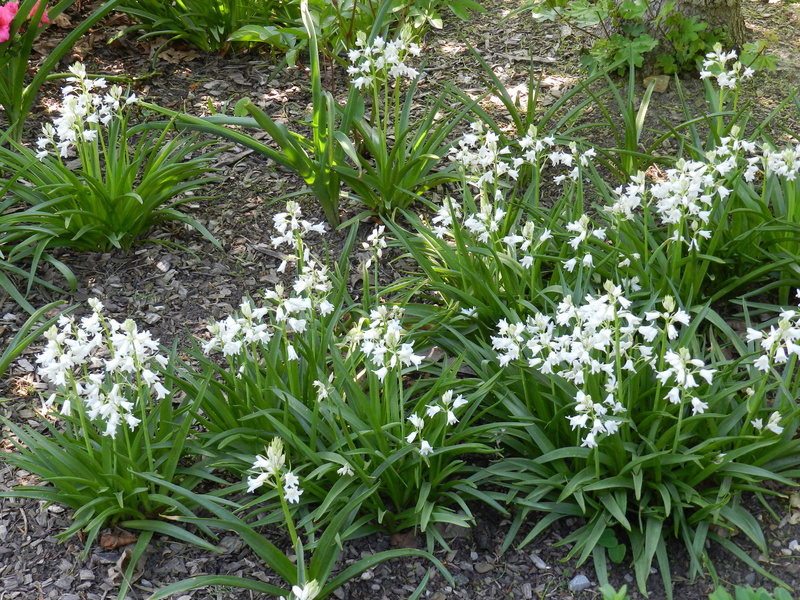 Several years ago, I planted them in my own garden in a partially shaded, slightly moist spot, conditions that most bulbs will not tolerate. 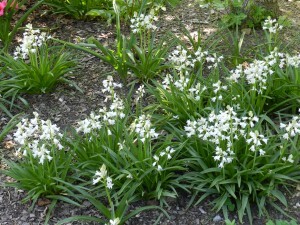 Their pendulous white bells on twelve- to eighteen-inch stems bloom from early April well into May, and their foliage remains green until the end of summer. 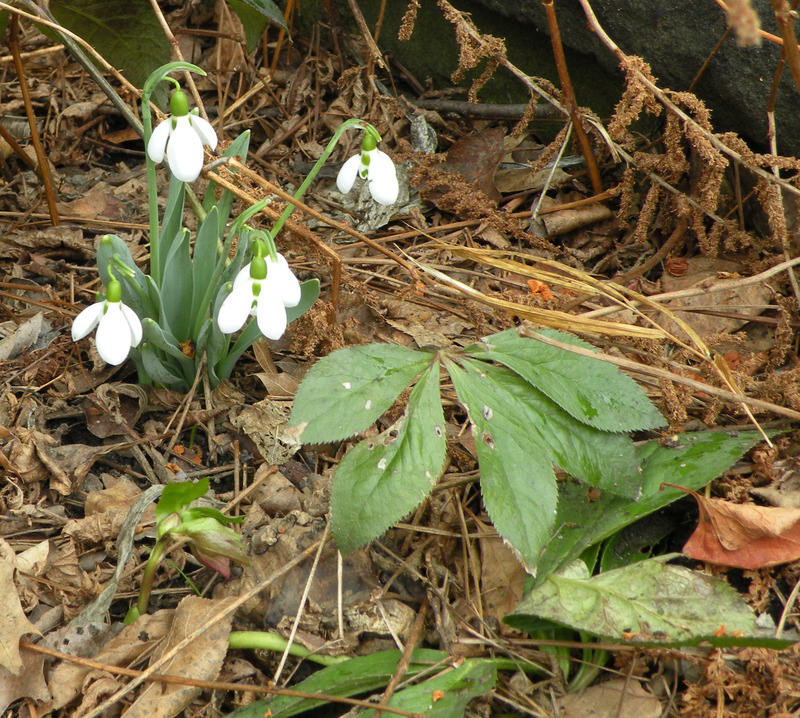 Since Leucojum is a spring bloomer, I obviously wanted to interplant a later blooming perennial that would be strong enough to emerge through the Leucojum. The answer was Tricyrtis ‘Tojen’ (Tojen Toad Lily), the height (three feet) of which and large leaves allows it to compete and flourish and bloom beautifully in September and October. The earliest bulbs are Eranthis (Winter Aconite),with delicate fan-shaped foliage and bright yellow flowers on one inch stems, and Galanthus (Snowdrops) that have small white bells on two inch stems. 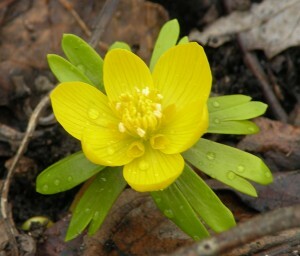 Both bloom in February or March depending on the winter weather. Plant these by the hundred so that they have an impact. 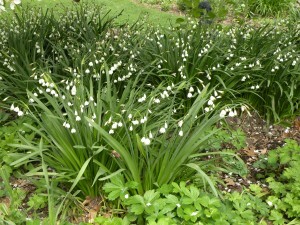 While they will bloom in the sun, they multiply faster in the shade. 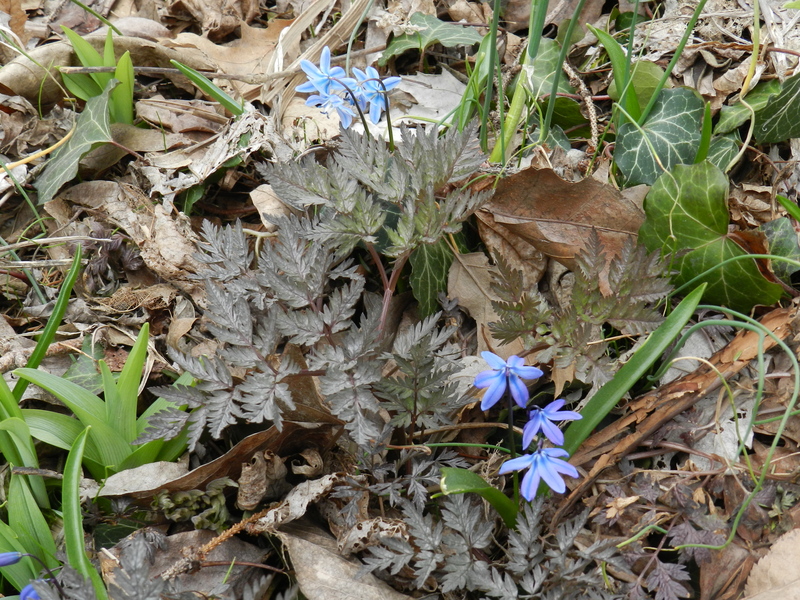 Small shade loving bulbs like Scilla sibirica (Squill) and Chionodoxa (Glory-of-the-Snow) are perfect for planting at the base of deciduous shrubs that won’t foliate for another few weeks. 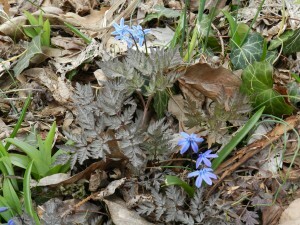 Both of these blue-flowered bulbs grow about three inches high and need to be planted in large quantities but they will spread. Another blue-flowering but taller bulb is Hyacinthoides hispanica (Wood Hyacinth). It is also available in white, pink, or a mix. 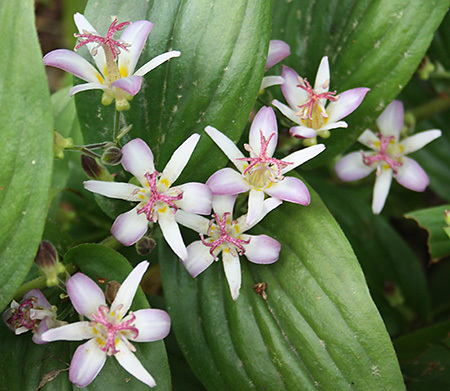 This loose, woodland hyacinth grows twelve inches high with multiple florets on a stalk. It is also a very good multiplier in the shade. My garden is an unending delight to me and the lesser known bulbs are a large part of the unfolding succession of color.